Making a difference by volunteering. Spending time with older adults can be such a fulfilling experience — just ask our co-workers. Residents in all our retirement communities still have so much to offer, regardless of their level of care. For every moment you share with them, they reward you with a smile, laugh or life lesson. It’s why we love what we do. While our co-workers are committed to serving our residents every day, we always appreciate the dedication of our volunteers who contribute to helping life get better. We welcome you to consider giving your time and talents where and when possible. We’ve found the best volunteers are individuals who are dependable, good listeners, compassionate, cheerful, patient, respectful and able to demonstrate good judgment concerning the dignity and rights of our residents. If interested, please review the following details and then complete the form below. Is there a minimum commitment of hours? 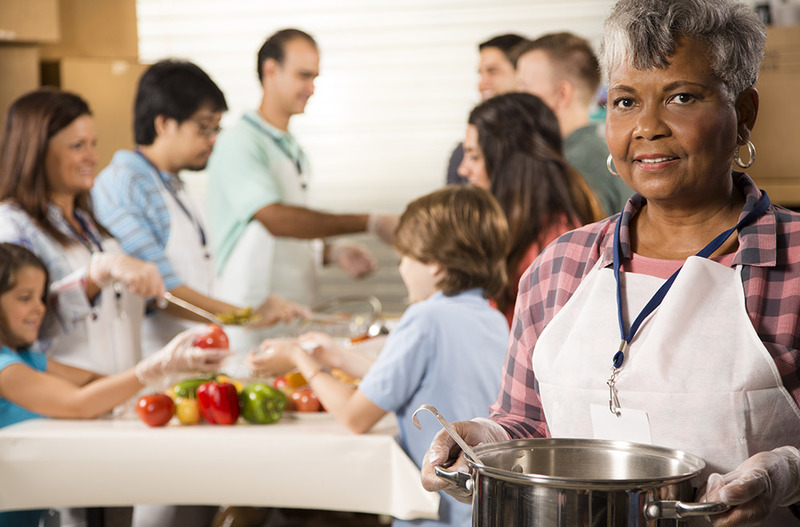 Depending on the applicant’s availability and the community’s need, volunteers work as little or as much as they prefer during the day, evenings and/or weekends. In what areas can I volunteer? We consider the applicant’s interest, talents, skills and availability to help match the volunteer opportunity. Typically volunteers participate in Community Life activities (games, events, recreational programs). However if you have a particular interest and we have a need, you can volunteer in other ways such as enjoy friendly conversations with residents, play the piano at meal time, teach a baking class, distribute the mail, etc. Do we allow groups to volunteer together (such as youth groups, scouting troops, high school service clubs, church or civic groups)? If you are 18 years or older and plan to volunteer 16+ hours in a year, you will need to complete a volunteer application, in-person interview, background check (paid by us), confidentiality agreement, fire safety tour and orientation packet. If you are under 18 years old, you will need to complete a volunteer application, in-person interview, confidentiality agreement and minor consent form signed by your parent/guardian. If you or your group plan to volunteer fewer than 16 hours, you will need to complete a volunteer application, confidentiality agreement and if younger than 18 years old, a minor consent form by a parent/guardian. Do we issue service hour credits? Yes. If you need hours for community service for a religious program (such as Confirmation), school or scouting project or similar, we will be happy to complete the required documentation once the commitment is met. However, we do not offer community service for a judicial issue. Please download and print the application here, then complete and deliver it to the front desk at the preferred community. Or complete the online application below which will be sent automatically upon submission. Thank you again for your interest. If yes, please describe your talents. List in order of preference. Please check to confirm the above statement.